A blank canvas for your dream home! 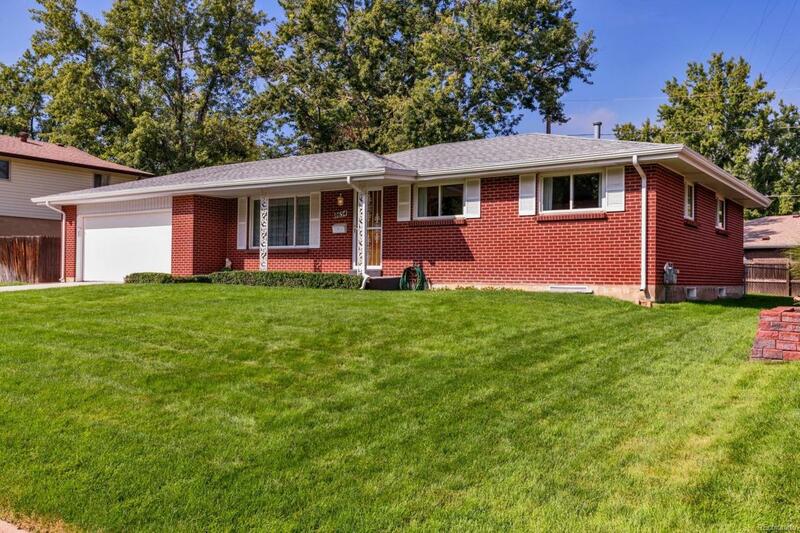 Dont miss this well maintained brick ranch located in charming Palomino Park. Inviting floor plan includes 3 Bedrooms and 2 Bathrooms on the Main Level. Stunning hardwood flooring throughout, as well as under carpet. Large, open Basement includes a non-conforming Bedroom with an additional Bathroom. The Basement features a Living or Recreation Room, ample storage and Laundry Room. Private and mature yard with a covered patio, perfect for entertaining. New roof, gutters, gutter guards, awnings and newer high efficiency windows! The house is in immaculate condition, original owner. Close to Schools, Belmar Shopping, Restaurants, Parks and more. A must see!